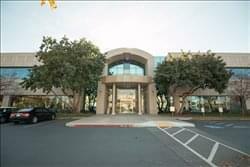 Find My Workspace lists over 95% of the executive office suites market in Sunnyvale. Simply click Request Quote to check pricing for one office, or Add to Basket for multiple offices. 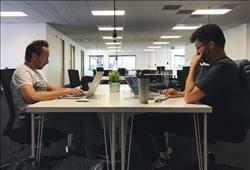 This business center is a modern, Scandinavian design inspired co-working space, conveniently located in the heart of Silicon Valley. The space prides itself on providing a hassle-free environment for startups, entrepreneurs, freelancers and companies that want to focus on their business, while having the chance to connect with and be inspired by fellow creators, makers and innovators. The space is accessible 24/7 and you can make use of the meeting rooms on-site. This center have updated the a historic building with blazing fast secure fiber internet, 15 ft. high ceilings, a beautiful patio overlooking the bustle of Murphy Avenue and, as always, all the equipment and services for you to get your work done efficiently. This centre are also located in the heart of the historic downtown Sunnyvale with lots of restaurants to choose from to enjoy a nice lunch break for work or an impressive lunch/dinner outing for clients. This center offers private offices and co-working space. Members receive twenty-four hour access to the facilities regardless of time or holiday. Easy access to Caltrain, highway 101, ample parking space, and a bike rack makes our location easily accessible for all types of commuters. All private offices come fully furnished and can be arranged to suit your needs. Being a member of this space comes with your very own Community Manager. Located in the heart of Silicon Valley. Convenient locations in the places you do business. The space also caters for co-working and virtual offices.